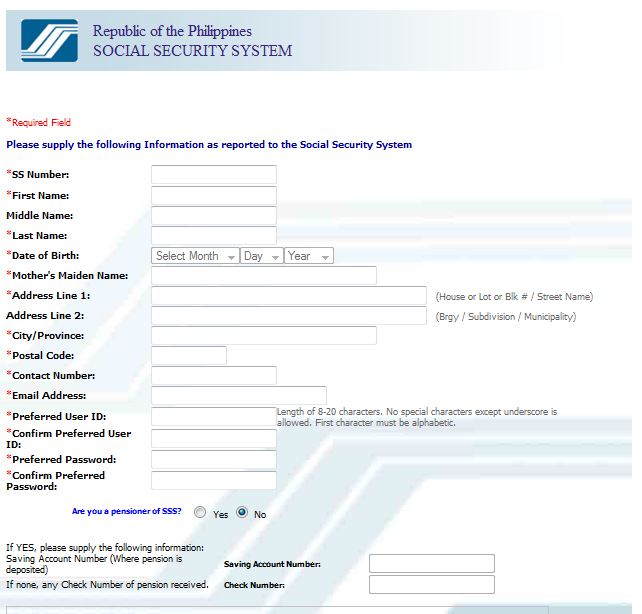 Social Security System or also known as SSS, is a government agency that helps Filipino to invest for their future. Members who pay for their monthly contribution can also make 'salary' or 'calamity' loans. A retirement benefits (pension) will also give for all the active members. With the help of internet, all SSS members and pensioners can now hassle-free monitor their contribution online for free. 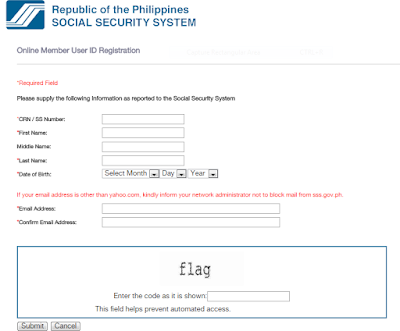 They can check their account anytime without going to the SSS office. For employee members, you can check if your employer funding your account. 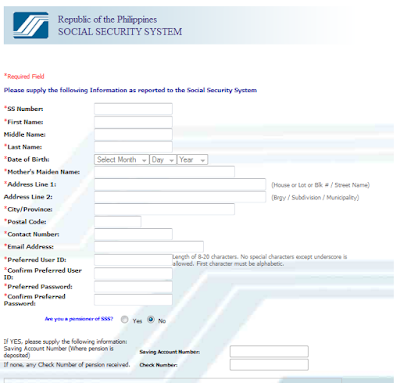 With this instruction we make, you can view your SSS contribution without fall in line. 1. Go to the member's registration page of official SSS website. 3. Enter the captcha (code) and tick the submit button. 4. SSS will send you an email, it is a link that confirm your email address and send you to another webpage. Note: Don't forget to check your Spam folder. 5. Fill-up the 2nd registration form. Don't forget to share it to your friends.! The Yamaha Mio i 125 with Blue Core Engine is one of the latest model of the company in the Philippines. This new automatic motorcycle has more power and faster while consuming less fuel. Meet the new Yamaha Mio i 125 with Blue Core Technology! Mio i 125 features sharply edges M designs with stunning graphic stickers and an eye-friendly meter panel with Eco Lamp Indicator. A M-shape grabbed bar is also equipped on it, coupled with large capacity storage for tools, smart stand switch (it's a Safety feature of Yamaha that shut off the engine if the stand was enabled), and an anti-theft multi-function key. As far as the engine concerned, the new model was equipped with 125 cc displacement, single cylinder, fuel injection system, and Blue Core technology -it can reduce friction and stabilize the temperature; complete with the racing technology of the DiASil cylinder and forged piston making it durable and lightweight. The fuel tank can carry up to 4.2 Liters. The Yamaha Mio I 125 has an Suggested Retail Price of Php69,900. 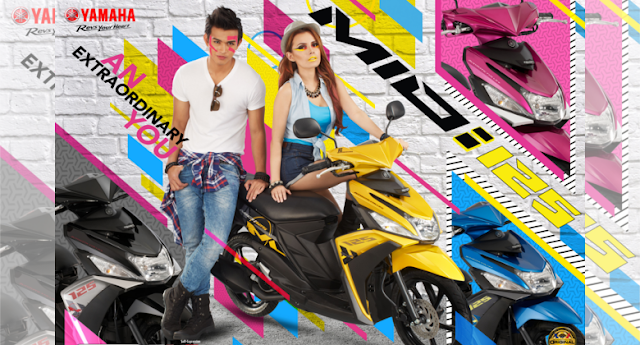 It is available in blue, yellow, magenta and black color variant in all Yamaha 3s shops nationwide. The automatic motorcycle can also get through installment plan. 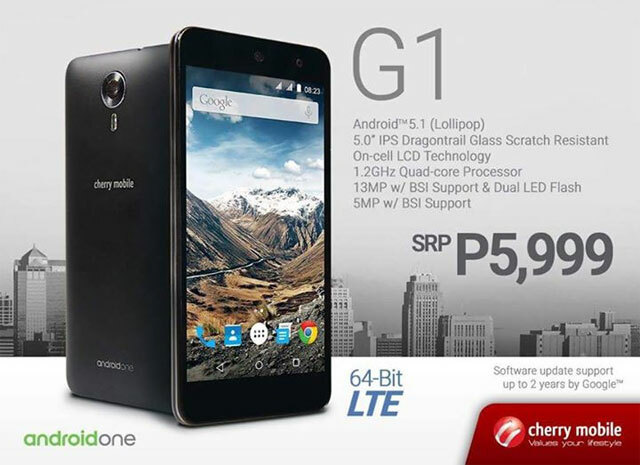 Cherry Mobile G1 is the newest model of the company, a budget friendly smartphone with a decent specs. For only ₱5,999, the new mobile device has a 5-inch HD display, 4G LTE connectivity 2GB RAM, 64-bit Snapdragon 410 processor, and 13MP rear camera and 5MP front camera. The photos can be save on its 16 GB internal memory or in a microSD card (support 32GB microsd card). In addition, the Cherry Mobile G1 is running on a google latest operating system, Android 5.1.1 Lollipop, it also powered by a removable 2,500mAH Lithium Ion battery. Honda Philippines finally launched a 2nd Generation of TMX Supremo - a newly designed fuel tank with an elegant sticker and new Dual Flat seat. The new designed TMX Supremo's side cover is now made by Polypropylene plastic (PP) material with security lock and easy-to-install 3-point factory installed side-car attachment. TMX or Tricycle Model X-treme is known for its power, durability, and reliability performance. Way back 2012, the 1st Generation of Supremo was launched. It has a modern engine design and style that is appropriate for the new generation of tricycle drivers. This 5-speed 150cc redesigned moto has an SRP of PhP 69,990. 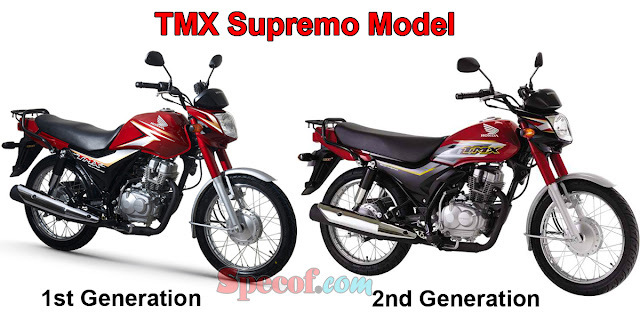 You can avail now the 2nd Generation Supremo in all leading motorcycle dealers.